Workpath is a cloud-based solution with mobile app support, offering healthcare organizations a HIPAA compliant workforce management and appointment scheduling system. Managers or dispatchers are able to add every member of staff into the Workforce platform, recording and tracking their certifications, licenses and training in order to monitor compliance. Appointments are then scheduled into a centralized calendar, with the work opportunities posted out to multiple people where appropriate. A tagging system is also combined with smart matching algorithms to auto-assign work requests to the correct, most qualified team members. Alternatively, dispatchers are able to directly assign appointments to staff thanks to availability indicators, while work opportunities may also be added by customers, team members or via API. In addition, Workpath tracks and displays appointment status in real time with updates shown on the browser-based dashboard. Notification support also posts status updates and requests to staff, while patient communication includes the issue of email / SMS confirmation and reminder messages. Custom services, step-by-step procedures and equipment supplies for labor offerings can all be defined into the system, with a sharable service request order form made accessible to patients. Workpath is also joined by a companion app for iOS and Android devices, giving field staff access to schedules, contact location, incoming opportunity lists and the ability to accept requests on the move. A 14-day trial is available. Pricing information can be requested via the Workpath website. • Workpath’s smart matching feature enables a customer to place a service order, with the labor force immediately notified of the opportunity. • Procedure intelligence allows practice managers and dispatchers to provide all necessary steps and work instructions to teams via the mobile Workpath application, available for iOS and Android. • Availability indicators and calendar-based scheduling allow users to log, track and efficiently assign work opportunities to only those labor resources that are available, qualified (certified), and within appropriate range. 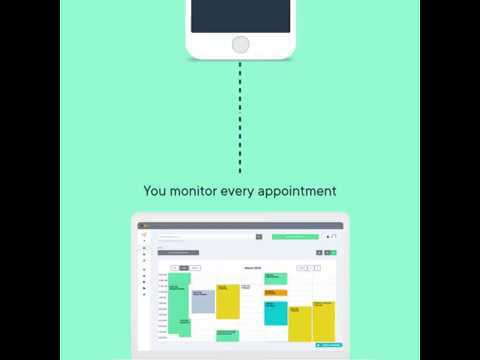 • Customizable messages, notifications and reminders across email and SMS ensure that shifts and appointments are never missed by staff or by patients themselves. • A unique tagging system allows patrons and patients to stipulate that the appropriate labor resource is assigned or offered the opportunity correctly and instantly. No, Workpath does not have an API available.